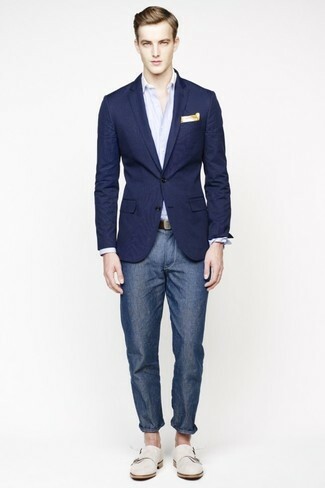 If you're a fan of relaxed dressing when it comes to your personal style, you'll love this stylish pairing of a navy blazer and a Polo Ralph Lauren floral foulard pocket square from Ralph Lauren. To add more class to your ensemble, complement with beige leather double monks. We all want comfort when it comes to dressing up, and this combination of a navy blazer and a Polo Ralph Lauren floral foulard pocket square is a vivid example of that. 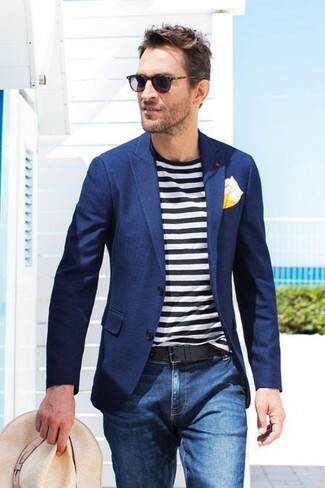 We all outfit for comfort when it comes to dressing up, and this combination of a navy blazer and a Polo Ralph Lauren floral foulard pocket square from Ralph Lauren is a great illustration of that. Go for a pair of tan leather oxford shoes for a masculine aesthetic. If you prefer relaxed dressing when it comes to fashion, you'll love this stylish pairing of a white dress shirt and a yellow pocket square. Up the cool of your ensemble by finishing off with brown suede derby shoes. 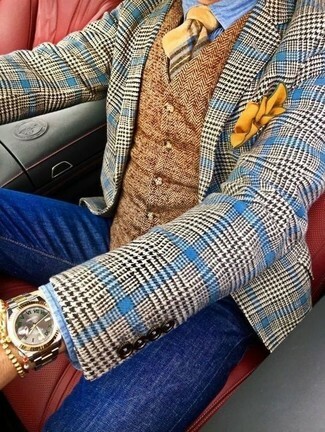 Marry a blue houndstooth wool blazer with a Polo Ralph Lauren Floral Foulard Pocket Square to be both casual and cool. If you're all about practicality dressing when it comes to fashion, you'll love this simple pairing of a navy plaid blazer and a Polo Ralph Lauren floral foulard pocket square. 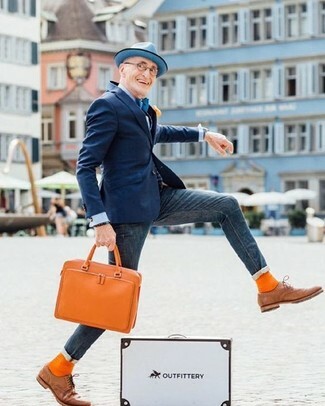 Smarten up your ensemble with multi colored leather derby shoes. 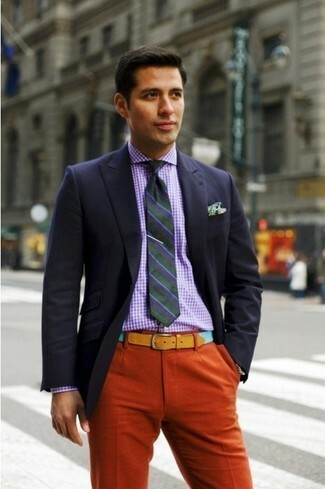 If you prefer relaxed dressing when it comes to your personal style, you'll love this stylish pairing of a red cotton blazer and a Polo Ralph Lauren floral foulard pocket square from Ralph Lauren. If you prefer relaxed dressing when it comes to your personal style, you'll love this stylish pairing of a navy blazer and a Polo Ralph Lauren floral foulard pocket square from Ralph Lauren. 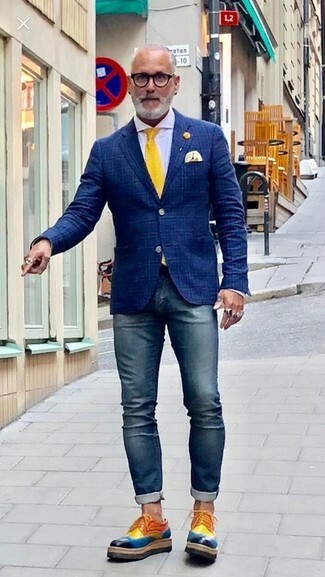 If you're a fan of comfort dressing when it comes to fashion, you'll love this stylish combination of a blue cotton blazer and a yellow pocket square. 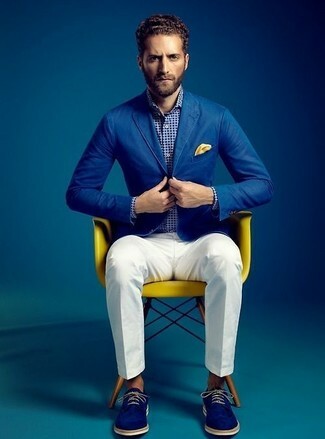 Sporting a pair of blue suede derby shoes is a simple way to add some flair to your getup.